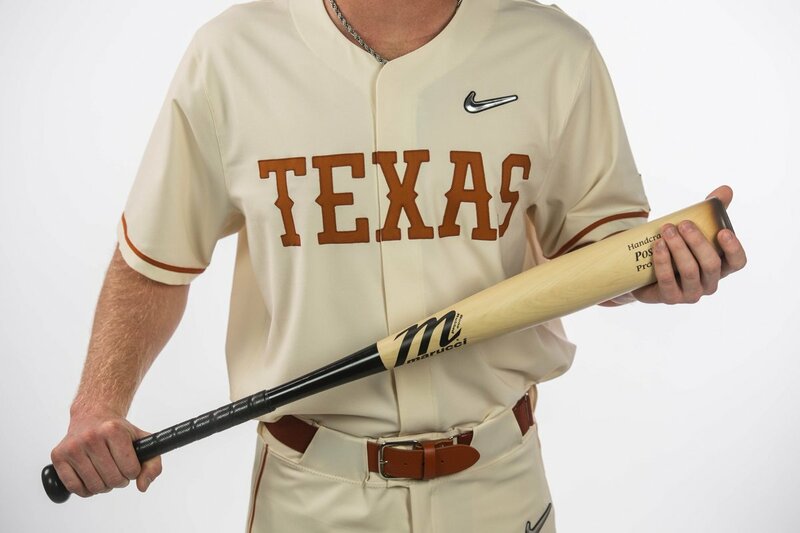 Check out the new look for the 2019 Texas Baseball team. Really like the throwback script on the burnt orange unis. Home whites are my favorite. Like our football travel whites. It would be cool if there was a white version with the script Texas on it. But I do like the whites. I like that there's far less gray in there, if any at all, in both uniforms. No gray, no black on this year's home/away jerseys. No shadow box on the TEXAS. One quick note, there will be gray road unis. I'm sure we'll get a peek at those soon. IMO, the solid burnt orange cap looks best with all uniform combinations. 3 caps is overkill and the grey one is my least favorite. I like these new "throwbacks", but I don't recall ever seeing UT baseball in an old-timey, Western style font. What year(s) did we wear this style? Throwbacks are my absolute favorite unis. Burnt orange script jersey is my fav. Looks good with all pants. Give me the first one, the home whites. Script Texas would really look great on it too. I think they all look very good. Now we just need to hit ‘em where they aint. Bryce Elder named the opening night starter. Mild surprise! Coach Pierce has made it pretty clear he has been very pleased with his production in the Alumni game and the recent scrimmage. One thing to keep in mind is that the coaching staff will play with several roster looks throughout the non-conference slate until they find a cohesiveness that they like. Is it just me but does it feel weird that it’s a road opener. I’m too lazy to look it up, but I can’t remember too many. Weekend starters named. One slight surprise in Cobb, but I really like the move.